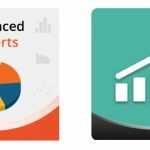 If you have a brick and mortar store, this extension is a must-have addition to your ecommerce website. Aheadworks Store Locator for Magento 2 and 1 allows your customers to find nearby offline locations related to your online business. As a website owner, you only have to specify basic details about each brick and mortar store as well as show their location on a map. In their turn, your visitors get a full list of your store locations. Besides, they have an opportunity to search for a store within a certain radius as well as by a specific address. Let’s have a look at the extension’s features. Of course, Store Locator is integrated with Google Maps, because it is the best way to provide customers with interactive location display. As a Magento admin or owner, you not only get a perfect opportunity to find the exact location on a map but also get an option that lets you set up a preferred map zoom for frontend display. Also, store information is listed for each location (you specify the name, address, description, and optionally can attach a custom image/icon), so your clients will always see the information you would like to share with them. For instance, you can specify working hours, contact details, holidays, website links, and any other relevant info in a description of each store. 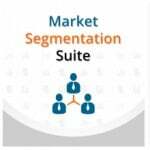 Detailed descriptions of locations not only improve visibility but can be used as a tool for driving sales. In this way, you can add information about available loyalty programs or special events in a specific location to motivate customers to visit your shop. Another way to improve visibility on a map is to add custom map markers, like a brand logo, thus making it easier for customers to recognize your store. By adding a unique marker or an image, you can also distinguish different types of your store locations, for example, the ones of your own brand and partner shops. Moreover, as we have mentioned above, Aheadworks Store Locator for Magento 2 and 1 offers store search by an address (from a specific ZIP code to a whole country) or within a certain radius (by specifying default value, radius step, and a metric system, as well as letting Google find your current location). Specifying locations on a map is a vital feature for both shoppers and merchants who run brick and mortar stores, that can bring different advantages to their ecommerce business. Thus, the relevant module can help you create a stronger connection between your online and offline sales channels, provide more information about your business, and give customers more freedom in choosing how they want to communicate with your brand. Adding a store locator extension to your website saves time for searching your store’s physical locations, provides shoppers with more buying options, and increases customer retention. Let’s see how the extension’s features look from the perspective of backend and frontend. The extension is available under Content -> Store Locator by aheadWorks. Action (you can edit or delete each individual store here). As for mass actions, they are available in a drop-down menu. You can delete, enable, or disable offline locations in bulk. Besides, it is necessary to mention that there are 8 filters available. You can also hide columns you do not need, export data in CSV or XML, and choose the number of locations per page. Information related to each location is divided into two tabs: General Information and Google Maps Settings. In General Information, you choose a location status (enabled or disabled), specify its name, country, state, city, street, ZIP code, and phone number. Besides, you should choose a store view to display the location, may add a description and set a sort order. 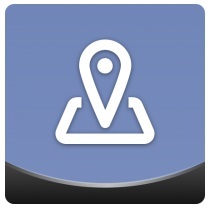 Other options let you upload a location image and a Google map marker. As for Google Maps Settings, you should specify Zoom, Latitude, and Longitude to find a brick and mortar store location on a map. Alternatively, you can rely on the extension that can search for store location according to data available in General Information. 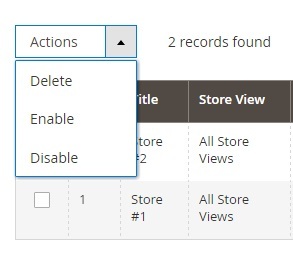 Below the settings, there is a map that displays a store according to the specified data, so you can check whether its location is correct without any need to leave the admin. 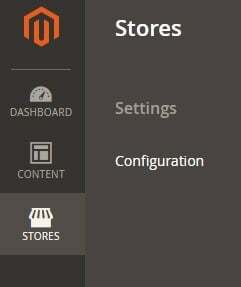 When you add a new store location, the same settings are available. The extension’s general settings are available under Stores -> Settings -> Configuration -> Aheadworks Extensions -> Store Locator. All options are gathered in three sections: General, Search, and SEO. In General, you enable/disable the Store Locator page on your ecommerce website, choose its title, specify a URL key and a Google Maps API key (required for more than 25K map loads per day), and set up such parameters as the Extension’s URL to Top Menu and Header CMS Block. Here you also enable/disable displaying “Find My Location” button. As for Search, the Aheadworks Store Locator Magento 2 extension requires various search radius values to be specified. Besides, you choose a default search radius, as well as a default search measurement. SEO settings let you add meta keywords and meta description. Let’s have a look at how the extension works on the Magento frontend. The module adds two search tabs available: Search by Distance and Search by Address. On the Search by Distance tab, your customers can specify their location (alternatively, they can use Find My Location button), search radius, and measurement. As for the Search by Address tab, it has the following fields: Country, Region / State, City, and Zip. As mentioned above, it is possible to run a search as wide as a whole country or narrow down it to a specific ZIP code. Under these two tabs, there is a Header CMS block. As for available brick and mortar stores, they are listed at the bottom of the page. By clicking on each location, your customers update a map that starts to display the chosen store. 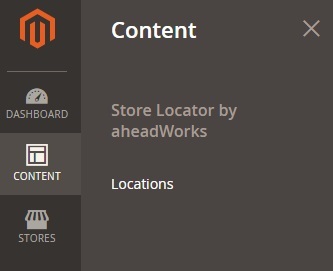 In case you run a brick and mortar store, Aheadworks Store Locator for Magento 2 and 1 will substantially improve the way your customers can find it. The extension provides a user-friendly interface that shows exactly what your potential buyers are looking for, so don’t hesitate to give the module a try. As for prices, Store Locator for Magento 2 costs $249, including installation, 90 days of support, and a personal account manager. Besides, Aheadworks offers a 50% discount for its M1 clients. As for Store Locator for Magento 1, the company charges $119, but the price does not include installation. As for support, you will also get 90 days for free.